We have seen how Starbucks grew from just a coffee shop to an essentially well-accepted lifestyle. It has expanded not just in the United States, but even to far off countries on the opposite side of the globe, like the Philippines. We have even seen how its logo evolved from a blatantly labeled one to the now nameless yet recognizable face. Recently, we heard news that the famous establishment will not only continue serving us with cold frappes or hot coffees, but ventures to a new line of products that is also studded by caffeine: energy drinks. This is in conjunction to last year's report that companies serving this line of product posted a whooping double-digit volume growth and gained share. That's profit, baby! What could its well-established competitions, like Red Bull and Rockstar, say about that now that another competitor has joined the scene? Do you think Starbucks has the capacity to outmatch its predecessors? 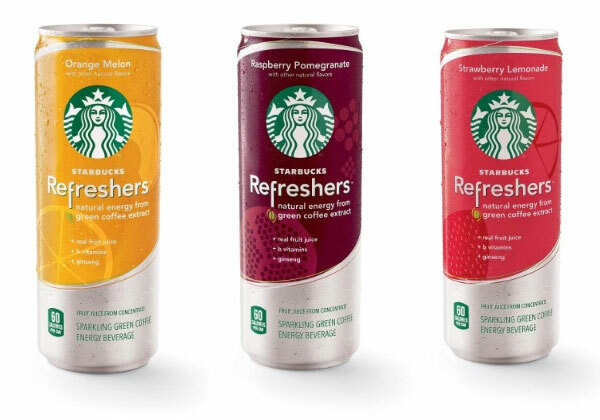 Unlike the already been established energy drinks, Starbucks is focusing on branding fruit-flavored drinks made from flavorless extract of the 100% green and unroasted green Arabica coffee beans. Naturally this will have lesser caffeine content compared with the usual coffee drinks that are obtained from ripe and roasted beans. Starbucks is even patenting this process of extracting green coffee beans, that it claims will have "all of the natural energy from coffee, but with none of the coffee flavor." The drink will initially have at least three flavors: (1) Raspberry Pomegranate, that combines the tangy and juicy taste of its ingredients and said to have rich amount of the vitamin B complex and vitamin C; (2) Orange Melon, a nice combination of watery sweetness with the tangy delight of an orange juice that feels like a regular juice, but enhanced with energy giving properties; and (3) Strawberry Lemonade, a classic blend of sweetness that only contains no more than 60 calories. The States side has already a taste of these products when it was release late last month. Each 12 fluid oz of these drinks contains only 40 to 55 mg of caffeine and with a price tag that ranges from $2.10 to $2.50. Don't you wish that these will be available in your locality as well?